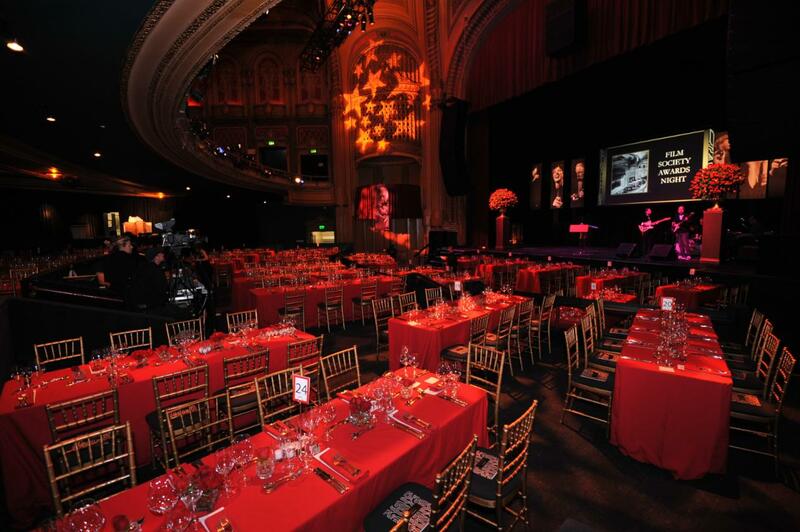 Rent The Warfield - AEG Presents | Corporate Events | Wedding Locations, Event Spaces and Party Venues. The Warfield Theatre opened May 13, 1922. The Warfield was built as a vaudeville and movie palace. All the big names in entertainment played on the Warfield stage! The Warfield is a 2250 person venue and has been a San Francisco institution for 86 years. Opened on May 13, 1922, it was built by showman and theatre chain owner Marcus Loew, who named the showplace after his old friend David Warfield, a native San Franciscan who began as an usher and grew to be one of the greatest silent film actors of his time. The Warfield was originally built as a vaudeville and movie palace and became a concert hall in 1979 when Bill Graham Presents booked a two-week run of shows with Bob Dylan. The esteemed hall has been rocking ever since. Now operated by Goldenvoice (the creator of Coachella and Stagecoach festivals) the venue is keeping with its illustrious past. Everyone has played The Warfield. Today, the entertainment has continued to range from artists such as Bob Dylan, Faith No More, Prince, The Killers, Kings of Leon to Adele, as well as played host to charitable fundraisers for organizations such as GLIDE Memorial Church and Tipping Point. The Interior is an ornate movie palace. The lobby features marble, guilt and chandeliers, and opens to a grand staircase to the balcony. The main theater features a lyrical mural above the proscenium arch painted by Albert Herter. The mural contains images of floating matadors and their senoritas. The Warfield is a full service facility with a variety of modern event spaces with unlimited possibilities. The venue is available for broad range of special events including corporate meetings, private concerts, banquets, receptions, awards dinners and much more.